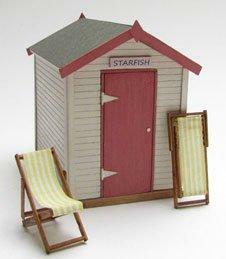 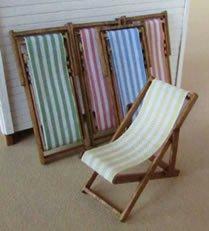 Miniature 1/48th scale beach hut kit from Jane Harrop. 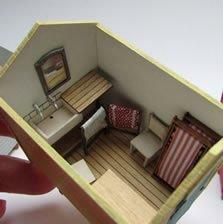 To finish the kit you will also need acrylic paint, tacky glue, wood stain and a glue stick. 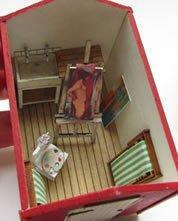 I haven't put this kit together yet so can't tell you much more about it, but Jane always includes lots of instructions. 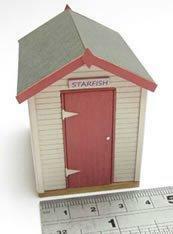 This listing is for just a beach hut kit. 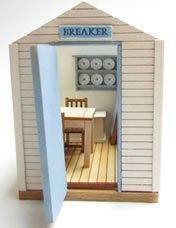 The pictures show some finished huts furnished with other Jane Harrop kits and there are also some accessory kits for the beach hut; deck chairs, wind break and a dinghy. 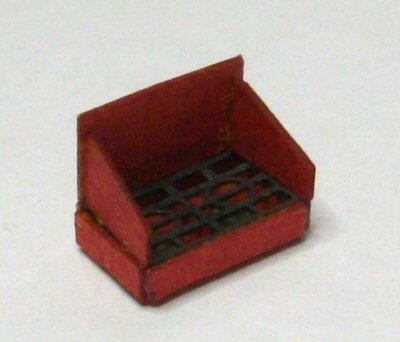 See the related items below.